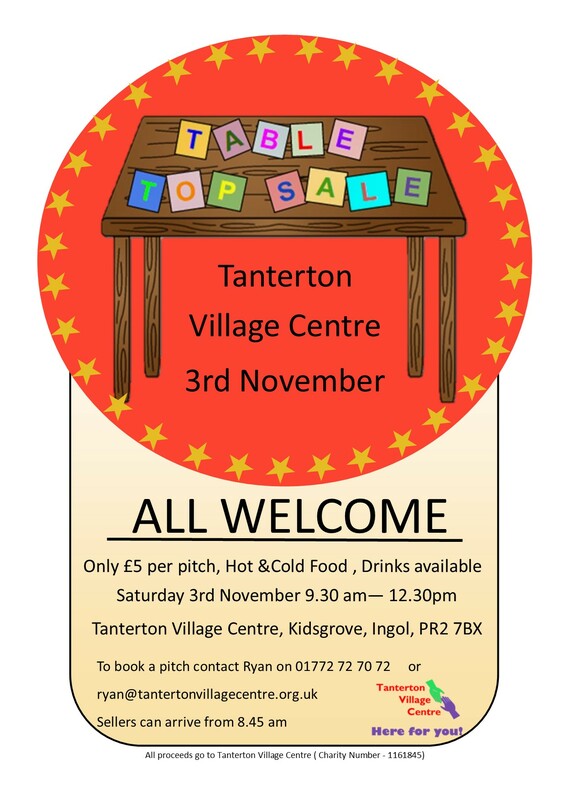 Table Top Sale at Tanterton Village Centre. 1st Saturday of every month. All are welcome it is only £5 per pitch, Hot &Cold food, Drinks available. Sellers can arrive from 8.45. © 2018 Tanterton Village Centre Ltd.